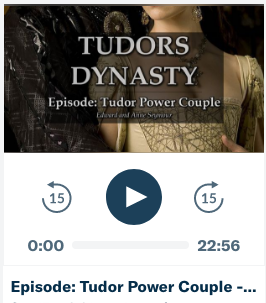 The consummate “power couple from hell” Edward Seymour and his wife Anne Stanhope were portrayed in Showtime’s “The Tudors” as selfish, greedy and uncompromising. In real life you could say the same…or is there more to the story? Born in 1500, Edward Seymour was the second son of John Seymour and Margery Wentworth and grew up at Wolf Hall. The eldest son of the couple, John most likely died in infancy – so Edward was now the oldest. He had nine siblings in all – most notably Thomas and Jane. It is believed that Edward was brought up at Wolf Hall under the supervision of his mother. John Seymour must have had a great relationship with King Henry VIII because on the 12th of October 1514, a fourteen year old Edward Seymour was made a page “to do service to the queen”. Katherine of Aragon, you ask? No, actually Mary Tudor, Queen of France – favorite sister of King Henry. This must have been a very exciting adventure for such a young man, but unfortunately it would not last long. In a matter of weeks Edward, along with many other of the new French queen’s attendants were sent back to England. In the Spring of 1514, Edward Seymour married Katherine Fillol, heiress to her father’s fortune. The marriage was most likely arranged by their fathers since the couple were so young – Edward being only 14 years old. The couple lived in the household of Sir John Seymour at Wolf Hall until Edward turned twenty-one because his father had agreed to provide for the young couple until they came of age. It was important for John Seymour to take care of the young couple because his new daughter-in-law stood inherit some great lands upon her father’s death. Edward and Katherine had two sons, the eldest was John, named for his grandfather and the second was Edward, presumably named for his father. Edward’s social standing continued to climb when, in December 1516 he was listed as a gentleman attendant in the king’s privy chamber. Then on the 15th of July 1517 he was secured the position of constable of Bristol Castle. He was only seventeen years old at the time so the position was in title only and his duties would have been performed by his father’s deputies – must be nice. The couple were married for over a decade before all hell broke lose. When Edward Seymour was in France, possibly when he had accompanied the Duke of Suffolk in 1532, he had acquainted himself with a learned man who had great skill in magic. From this man he could be told how all his relations were back home. The way Heylen explains it it almost seems as if Edward was ‘shown’ what was happening – like possibly in a crystal ball. I don’t know. Seymour saw a male acquaintance in a “familiar posture with his wife than was agreeable to the honour of either party”. Whatever he saw he believed it – so much so that when he arrived back in England he estranged himself from his wife and their two sons, and instead of divorcing her sent her to a convent. So if we were to combine the two statements we’d find that Edward Seymour separated from Katherine Fillol because of his father’s familiar relationship with her that was not agreeable to their honor. To back up the fact that Katherine Fillol disgraced her family, her father was so upset with her that she would no longer inherit all that she was supposed to as his sole heiress. Instead, in her father’s will dated 1527, she is excluded from inheriting, “for many diverse reasons and considerations from any part or parcel of his manors and estates” – instead she was left with an annual pension from the estate of 40£, provided she go and “virtuously and abide in some house of religion of women”. In other words, a convent. So apparently her father was so disgusted by his daughter’s actions that he took away her inheritance. 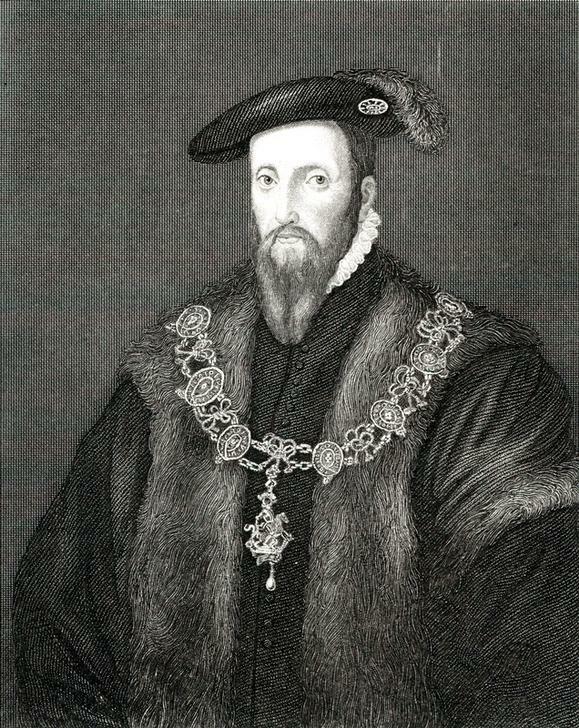 Interestingly enough author David Loades in The Seymour Family of Wolf Hall believes that the separation did not affect their children’s legitimacy – even though it had been suspected that John and Edward were actually John Seymour’s children and brother’s to Edward Seymour, not his children. He does mention in the book that the boys were not able to claim Edward Seymour’s titles and that they played no part in his career. Supposedly both boys went away with their mother and stayed with her until her death in 1535 – then they were returned to the custody of Edward Seymour. Interesting, right? Depending on who you read the following information varies regarding the marriage of Edward Seymour to his second wife, Anne Stanhope. 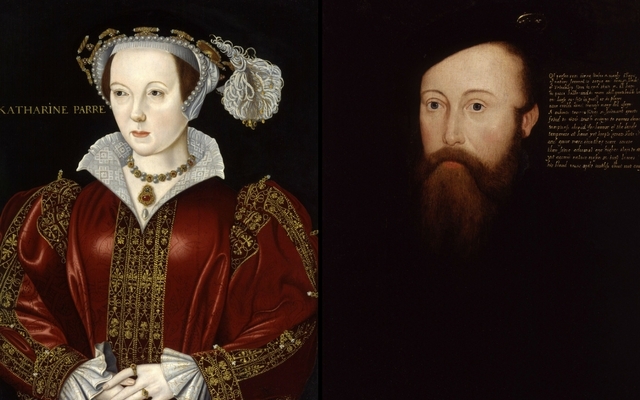 David Loades says they married on the 9th of March 1535, while Antonia Fraser says it was sometime in 1534 before Katherine Fillol’s death and Margaret Scard says by the 9th of March 1535. So we don’t know for certain if it was before or after the death of her first wife. We can assume from the three authors that they were definitely married by the 9th of March 1535. Regardless of when they were married the new bride immediately put her foot down and said she wanted nothing to do with his sons, so they were both sent away from court to be educated. Anne Stanhope was the only child of Sir Edward Stanhope and Elizabeth Bourchier and was born in 1510. Unfortunately, when she was about one year old her father died. There is little evidence that remains about Anne’s childhood – it is, however, believed that she was a maid-of-honour to Katherine of Aragon. Her mother did eventually marry again, this time to Sir Richard Paget, who was also well-connected to King Henry VIII. Paget was a gentleman of the Privy Chamber for King Henry and also Vice-Chamberlain in the household of Henry Fitzroy. 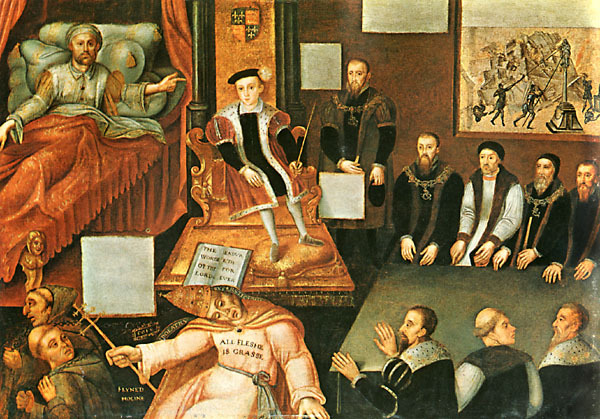 Edward Seymour’s position, thanks to his father’s connection to the king, continued to rise at Tudor court. When his sister caught the king’s eye in 1536 it only helped Edward’s advancement. Before the execution of Anne Boleyn on the 19th of May 1536, Edward Seymour became a Gentleman of the Privy Chamber; and when his sister Jane became queen he was ennobled as Viscount Beauchamp. Queen Jane is always referred to as sweet, or as a peace-maker, she apparently got along well with her sister in law Anne and never showed any interest in her nephews that were sent away. It always amazes me that a family with so much scandal surrounding it could end up with a daughter as queen. When Prince Edward was born on the 12th of October 1537, Seymour was raised to the earldom of Hertford – and his younger brother, Thomas Seymour succeeded Edward’s position in the privy chamber. Only twelve days later Queen Jane was dead and Prince Edward was only an infant. With infant mortality so high the Seymour family would have been on edge – they understood well how fast one family could fall from favor. Lucky for them Edward was healthy child and things seemed more stable for Edward Seymour as the eldest uncle of the Prince. Sometime in 1538, most likely on Anne’s insistence, his boys by Katherine Fillol were excluded from Edward Seymour’s property and titles by Act of Parliament – she meant business, wanting her children to benefit from their father’s standing, not his supposed children from his first marriage. 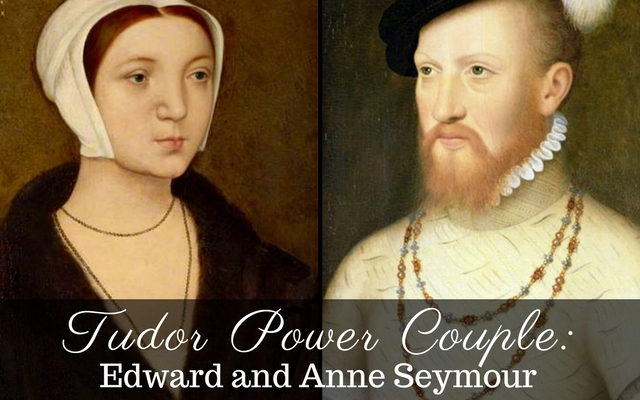 Both Edward and Anne Seymour continued to play important roles at Tudor court throughout the reign of Henry VIII but when the king died on the 28th of January 1547 everything changed and they became the most powerful couple in England. To distribute the Howard property since the Duke of Norfolk and Earl of Surrey were both convicted of treason and sentenced to death. Upon Henry VIII’s death the details regarding the distribution of the Howard land and the issue of a protectorate had not yet been finalized. Edward Seymour and Sir William Paget (the king’s secretary & Seymour’s ally) and possibly the executors of the late king’s will as well, are believed to have changed it. They did so so that they could be in charge of distributing the Howard land and honors to whomever they pleased. Henry’s will was signed with a stamp, so changes appeared easy to make. Three days after the king’s death Edward Seymour was named Lord Protector AND Governor of the King. Author Margaret Scard said it best: Henry VIII never intended a protectorate “his failure to recognize the inherent weakness in the terms of his will left the government of the country at the mercy of ambitious men”. The transfer from one king to the next was always a hairy situation, especially when the new king was a mere child – see Henry VI as another example with the Wars of the Roses – that history lesson should have been enough warning for the eldest Seymour brother. Edward Seymour had made promises to William Paget to get him on his side – we know this because of a letter that Paget wrote him two years later. He starts by reminding him that they had discussed something in the gallery of Westminster before the King died and how they had talked about their plan to make Seymour Lord Protector. Evidently, Seymour had told Paget that he would listen to his advice above any other man. Of course, that wasn’t the case – Seymour got what he wanted from Paget. What was he going to do now? Seymour was already Lord Protector and could do as he wished. In his will Henry VIII had listed sixteen men to be both executors of his will and members of the Regency Council. That is how he wanted things to be. He didn’t want a protectorate. He also named twelve assistant executors, one of which was Edward’s younger and equally ambitious brother Thomas Seymour. Thomas Seymour believed that he would be named Governor of the King, like with the minority of Henry VI his uncles shared the powerful positions. It wasn’t only Thomas Seymour that was annoyed; Kateryn Parr had believe that she would be named Regent – even going so far as changing her signature to indicate her new position. In mid-February 1547, Edward Seymour decided to be styled as the Duke of Somerset – truly amazing since that title is traditionally associated with the Beaufort line of ancestors of Henry VIII. Now as Lord Protector, Governor of the King and Duke of Somerset, Edward Seymour’s authority had grown – he could now add and remove councillors at will and convene the Council at anytime. He could act without permission and was essentially ‘de facto King’. Exactly what Henry VIII did NOT want. He even went so far as to address King Francis I as “brother” in a letter, something reserved to another monarch. Just as Henry VIII had called Francis I, his brother. When the newly titled Duke of Somerset (how I will try to refer to him going forward) raised his brother Thomas to Baron Seymour of Sudeley, Thomas took it as a slap in the face – he believed Governor of the King was his position. Somerset tried to placate him by also making him Lord High Admiral. While this pleased him it didn’t cure his desire to have more. Looking for more power and wealth Thomas Seymour did what he knew how to do best evidently – he schemed. First he asked Princess Elizabeth Tudor to marry him. Knowing full well that being married to Elizabeth would bring him as close to the throne as he could achieve. She turned him down, in the sweetest manner possible – saying she needed to mourn her father and could not consider a marriage for at least two years. Thomas, slightly discouraged, went to the next best choice, his former love and dowager queen Kateryn Parr. Parr still loved Seymour and was acting like a young girl in love. She had married the aging, obese king instead of Seymour in 1543 because she felt that it was God’s will to do so. So when she had the opportunity to be with Seymour again she jumped at the chance. The couple secretly married in the Spring of 1547 – way too soon for the widow of the late king. Thomas and Kateryn looked for a way to get away with their secret marriage without getting in trouble because they hadn’t asked Somerset or the Council’s permission to marry. When Somerset discovered the two had married he was livid that his own brother had went behind his back to get permission from the young king. He even went to young King Edward and yelled at him about giving them permission. King Edward had noted in his diary about that exchange and said, “the Lord Protector was much offended'” and that was all. Now, who’s the king exactly? Edward’s wife Anne Seymour was equally displeased with the union. Not only did Thomas and Kateryn marry too soon after Henry VIII’s death but Kateryn Parr was marrying well beneath her station since Thomas was merely a baron. Both Edward and Anne felt Thomas had disgraced their family name by going behind their back. 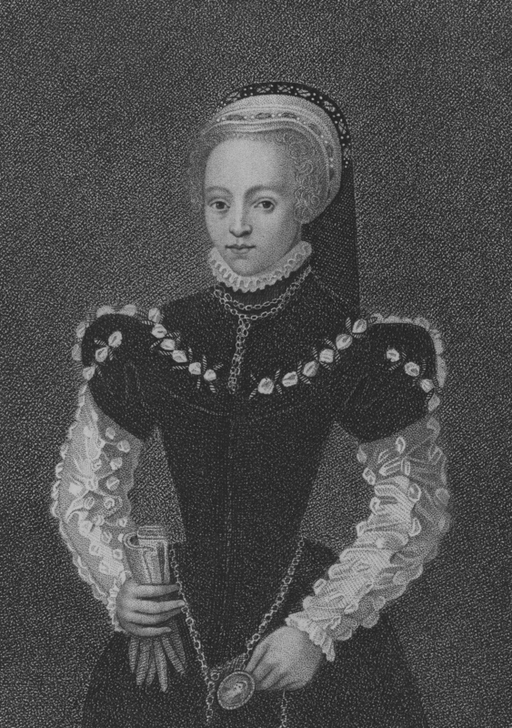 Kateryn Parr still played the role as queen – with a household the same size as when she was married to Henry. Thomas Seymour, being the husband of Kateryn, would have finally felt he had some of the power and status he deserved. Anne, Duchess of Somerset was annoyed with the fact that Kateryn Parr would take precedence over her as the wife of the Lord Protector – the story that has been told is that she would push, or nudge the dowager queen out of the way to as to walk in front of her – showing she took precedence…now, I’ve been just as guilty of telling this story as others, but apparently we may all have been mistaken and I want to clear it up. Author Margaret Scard states that it is unlikely that the Duchess of Somerset was resentful toward Kateryn Parr. Anne would have understood that she would have to take her place behind Kateryn, just as she would behind Anne of Cleves as the “king’s sister”. The real issue appears to be between the Duchess of Somerset and Thomas Seymour – she took issue with the precedence he felt he deserved since he was married to the dowager queen. He believed that his marriage to Kateryn would and should raise him above other noblemen. Maybe that means he felt he could walk alongside his wife in a procession – this would be what the duchess was opposed to. In addition to that, both the duke and duchess of Somerset were angry with Thomas for embarrassing them by going behind their back and marrying Kateryn. That information is found in the book by Margaret Scard about Edward Seymour and references the original rumor to the 1550’s by Catholic writers. That makes a bit more sense right? They wanted to make the heavily protestant Anne Seymour, Duchess of Somerset look bad. If we look at Chris Skidmore’s book about Edward VI he continues with the story that the Duchess of Somerset, who was described as, “A woman for many imperfections intolerable, and for pride monstrous, subtle and violent”, as does Antonia Fraser when she states in the Wives of Henry VIII that the Duchess of Somerset “openly jostled with Queen Catherine for precedence on the grounds that as the wife of the Protector she was the first lady in England”. However, there is no justification for her actions – Kateryn Parr had been granted precedence by statute and the Duchess would also have to walk behind Princess Mary, Princess Elizabeth and Anne of Cleves. Interestingly enough, in Elizabeth Norton’s book about Kateryn Parr she states that Anne Seymour had always resented having to pay court to the former Lady Latimer – coming from an aristocratic courtly family herself she felt she need not carry the train of her husband’s younger brother. Not only was Kateryn being pushed aside by the Duke and Duchess of Somerset for marrying Thomas but now they refused to allow her access to her jewels in the Tower of London. Somerset stated that they were the property of the Crown now. This infuriated Kateryn because some of the jewels were actually her possessions – gifts that she had been given by the late king and her mother. She was not asking for the queen’s jewels. Both Thomas and Kateryn tried everything to get her jewels back – they hired legal council and even discussed with the young king…to no avail. Kateryn would never see her jewels again. Kateryn Parr’s death came as a surprise to everyone, especially her husband Thomas. You could say her death catapulted him into a death spin that would ultimately lead to his execution. After his wife’s death, Thomas had asked the Duchess of Suffolk to raise their daughter, Mary. It wasn’t long after the death of the dowager queen that Thomas Seymour’s reckless behaviour caught up with him. It is believed that his brother, the Duke of Somerset is the one who gave the order to investigate and gather information against Thomas. Eventually, evidence would be found, or possibly fabricated, and Somerset would sign the order for his brother’s execution. For his actions against his brother he was heavily criticized – what he actually had done was weakened his own standing. In 1550 he was removed from the office of Protector but was readmitted to the council the following year. All the plotting and scheming that Somerset had done himself was now happening to him by John Dudley, Earl of Warwick – when on the 16th of October 1551 Somerset was arrested and sent to the Tower of London. He was executed, just like his brother had been, on the 22nd of January 1552. A man by the name of John Hayward is noted as saying that the downfall of the Seymour brothers was the direct result of the rivalry of their wives. The Duke and Duchess of Somerset were indeed the power couple of Tudor court during the reign of Edward VI – unfortunately, between the two of them they were also responsible for the disgrace of the Seymour name. Do you ❤️ this website and cannot get enough of it? Or would you just like to show your support for me, Rebecca Larson….here is an option for a one-time donation through a secure PayPal page. These donations go towards the cost involved in running the website and producing podcasts. You do not need to have a PayPal account. Thanks in advance! The portrait in the article identifies “Katherine Parr”, which is the rendition elsewhere. Why is it “Kateryn” here? The article doesn’t show the dynamics of Edward Seymour’s fall, except to point out the perpetrator was Dudley of Warwick. When she signed her name it was “Kateryn” – I’ve recently started to spell the Katherines/Catherines names differently to distinguish between the three. Katherine of Aragon I’ve kept as Katherine because I cannot read her handwriting…Katheryn Howard because that is how she signed it and Kateryn Parr, because that’s how she signed it. Katheryn’s name is spelled all wrong through the article. Please take a look again. There are three ladies referenced by that name in the article, Katherine of Aragon, Katherine Fillol and Kateryn Parr. I do not see anywhere that I spelled her name Katherine instead of Kateryn.